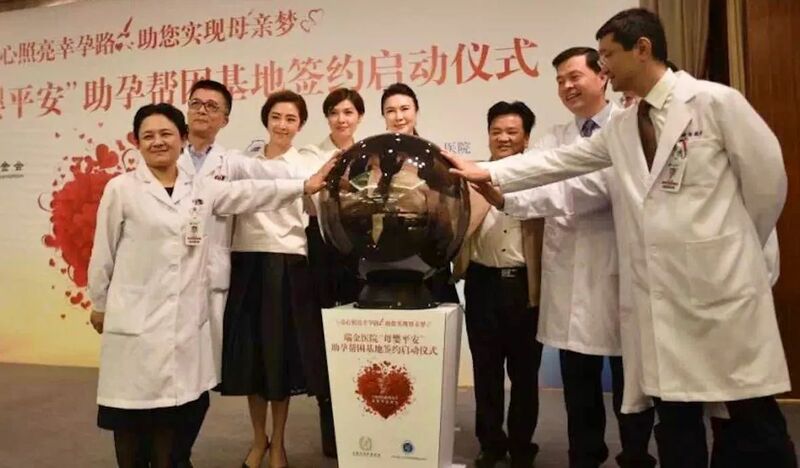 On the afternoon of October 26, the signing ceremony of “Safety for Mothers and Infants” base to help poor infertility women realize the dream of being mothers was held at Ruijin Hospital in Shanghai. The Shanghai Soong Ching Ling Foundation – Safety for Mothers and Infants Fund will offer financial support for Ruijin Hospital Reproductive Medicine Center to implement the project. According to relevant data of 2016, there were more than 50 million infertile couples in China, and 10 million families that lost their only one child. Child bearing is an urgent desire of these families. Ruijin Hospital Reproductive Medicine Center is one of the first medical units in Shanghai to obtain the qualification of human assisted reproductive technology through examination and approval of the National Health and Family Planning Commission. The center’s research and clinical field of infertility and reproductive endocrine diseases is not only strong in technical strength, but also the center has abundant therapeutic methods and it is also prominent in the construction of medical humanistic environment. The establishment of the base will implement targeted poverty alleviation under the guidance of special management committee，which is jointly run by the hospital's social work department and the reproductive medicine center. After strict screening and evaluation process, the base will bear for poor infertility women all or part of the operation cost. Attended the ceremony were Yang Weiguo, secretary of the party committee of Ruijin Hospital, Chen Erzhen, deputy director of Ruijin Hospital, Jia Yong, secretary general of Shanghai Soong Ching Ling Foundation, Qiu Haining, founder of SSCLF - Safety for Mothers and Infants Fund, and the goodwill ambassadors Zhang Yushan and Zhuang Yong.